At the yearly Kinrou Thanksgiving Event that is shown live via Nico Nico Live, this time with the cast of the upcoming GARO KAMI NO KIBA movie and director Keita Amemiya, a Jinga spin-off series was announced. Keita Amemiya announced the series would begin filming next year, with Masahiro Inoue in the titular role. Amemiya went on to state that the show would be with “new staff”. Full details were not announced, however, it was hinted that Miyavi Matsunoi, who played Jinga’s wife Amily, would also appear. Both Jinga & Amily will return in GARO KAMI NO KIBA, opening in Japanese theaters January 6th, 2018. 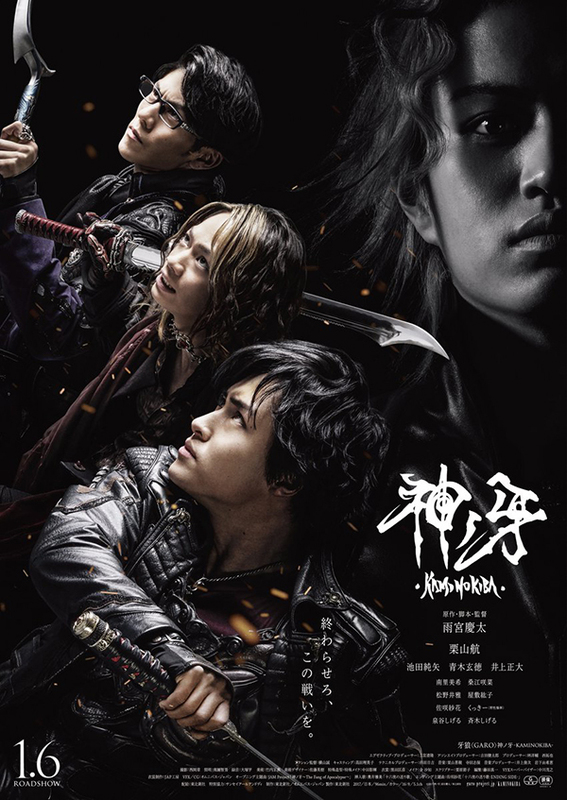 It was also announced that GARO: Gekkou no Tabibito, the previously announced film starring Raiga Saejima, star of the fourth season and son of first and second season main character Kouga Saejima, would begin filming in 2018.